Where does the gifts budget go? 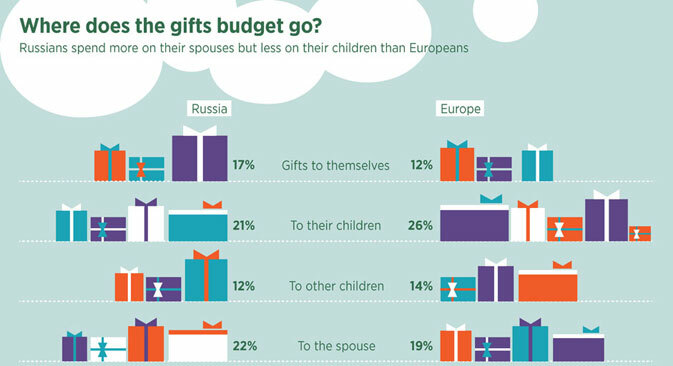 Russians spend more on their spouses but less on their children than Europeans. Russians are ready to spend more during this year’s holidays season than they did last year as a distraction from problems. Russians surveyed said they were willing to spend 13 percent more this holiday season with an average budget of $582 (19,200 rubles). Russians most often want to receive a gift of money.